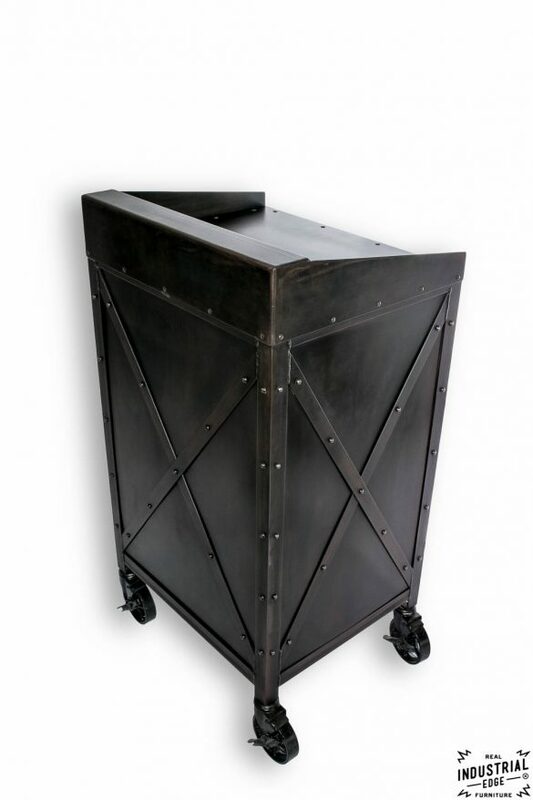 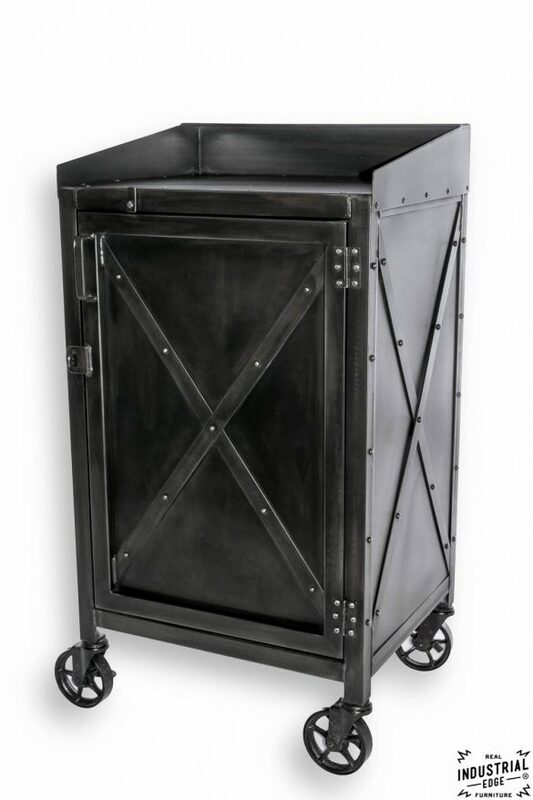 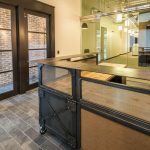 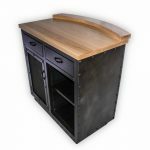 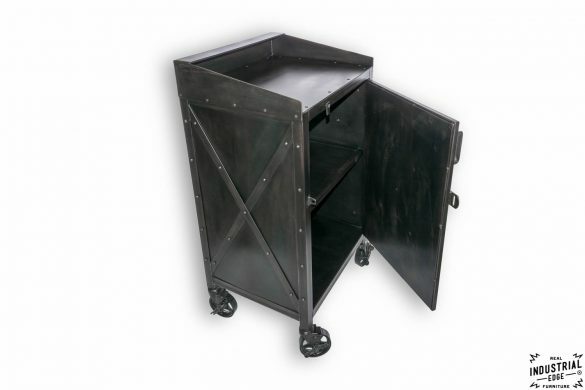 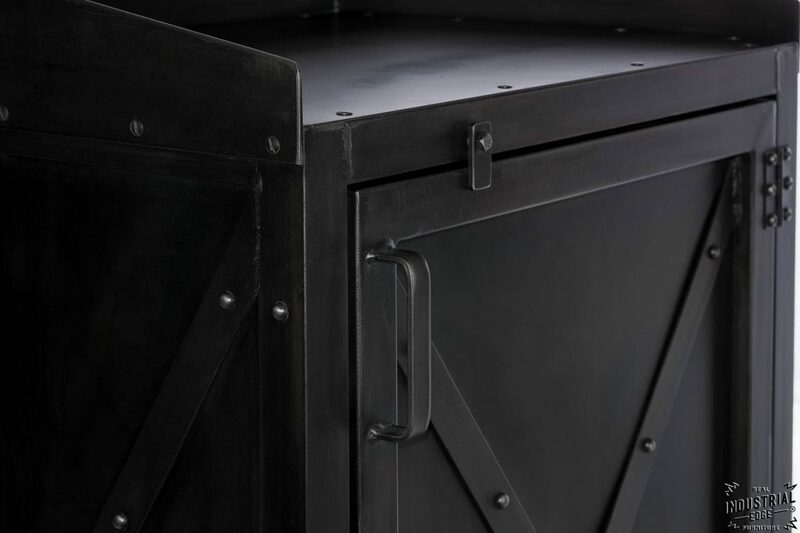 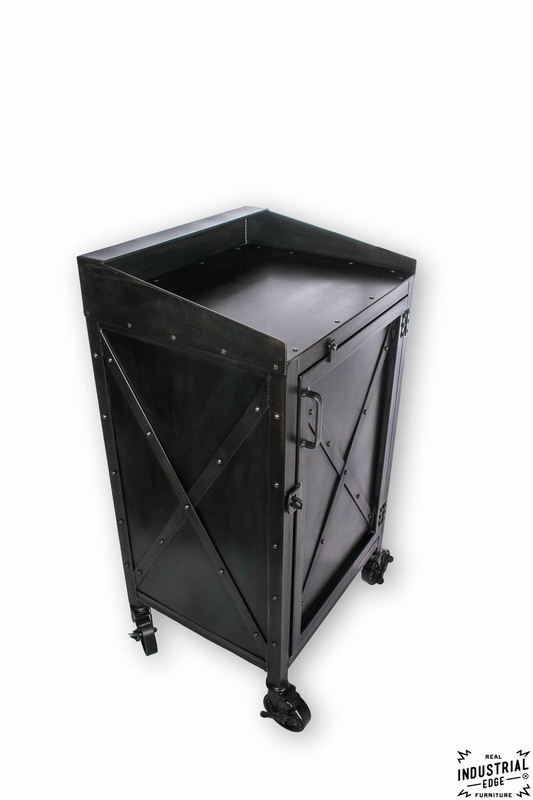 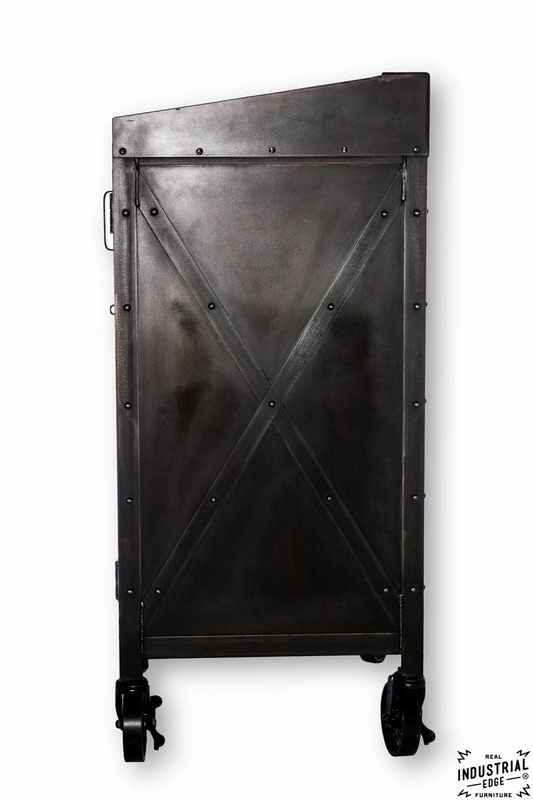 A custom industrial host stand will make a great impression as your customers walk through the door! 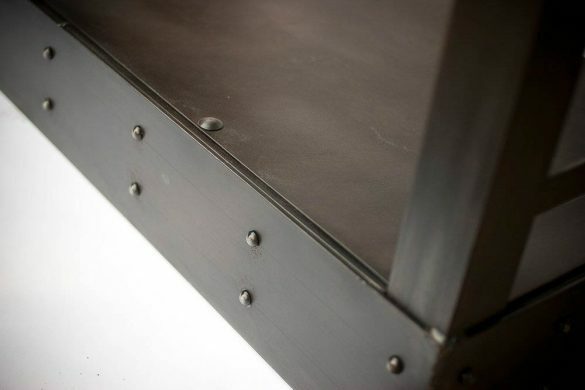 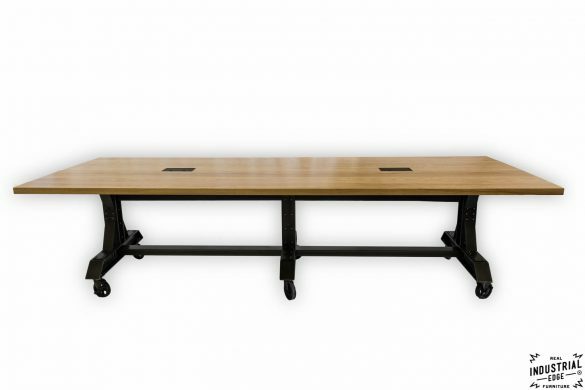 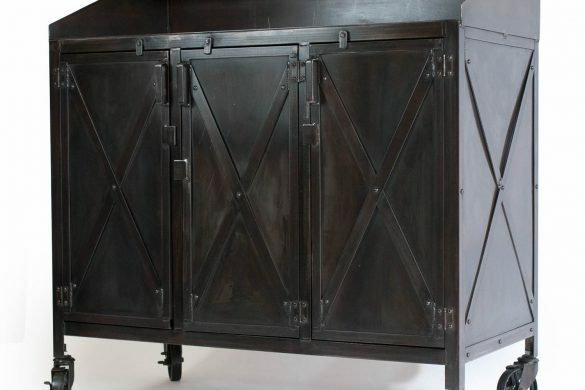 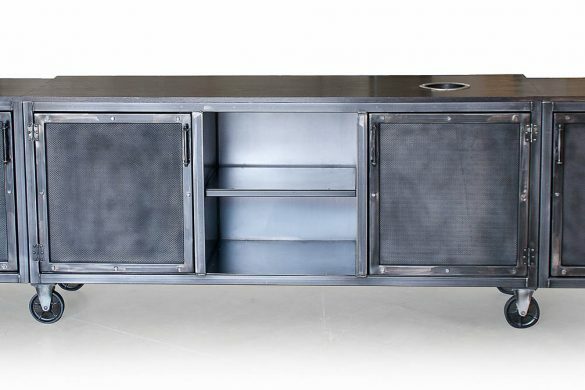 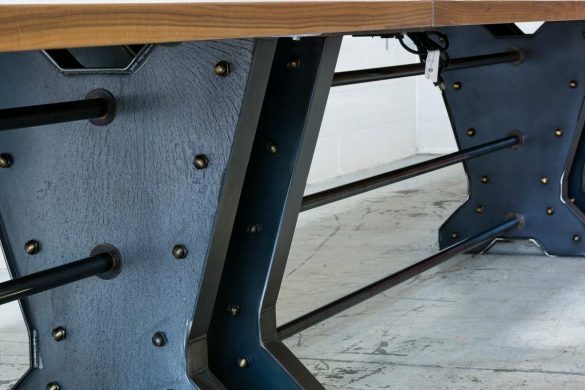 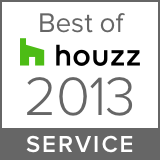 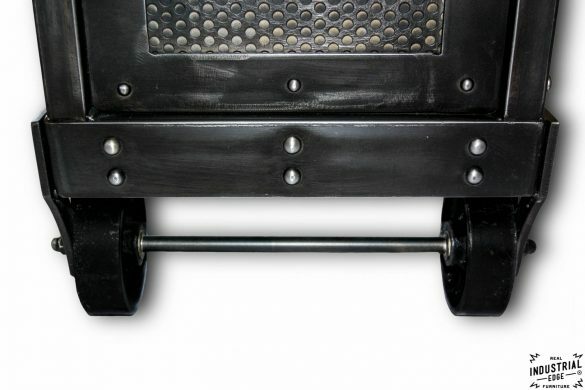 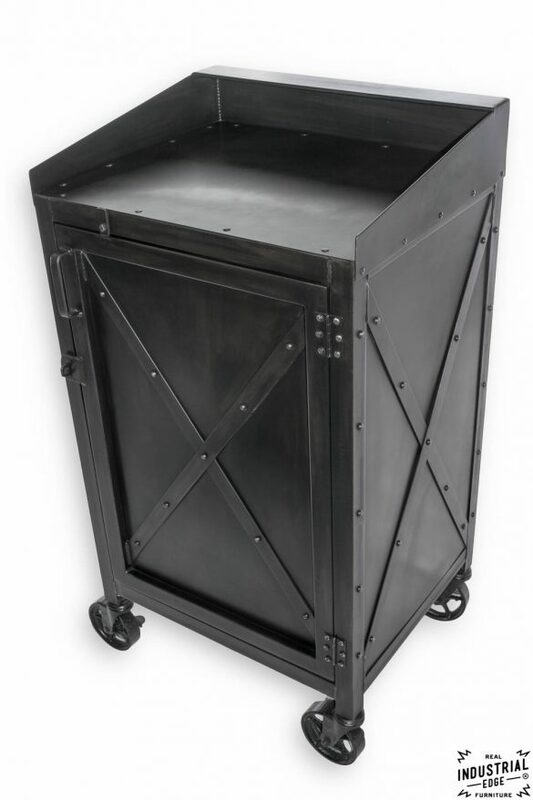 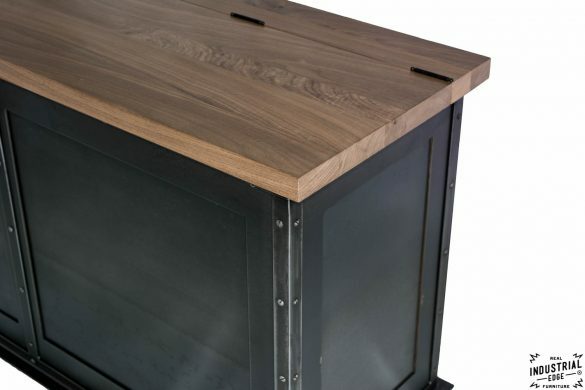 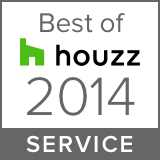 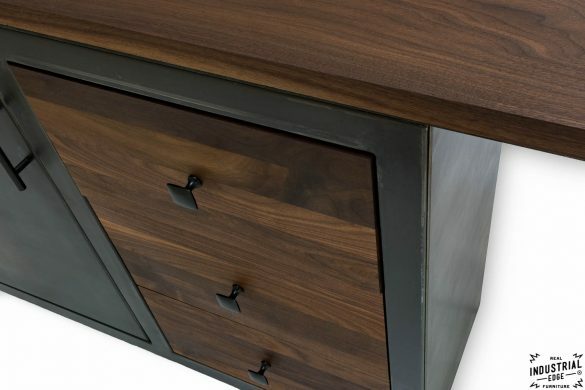 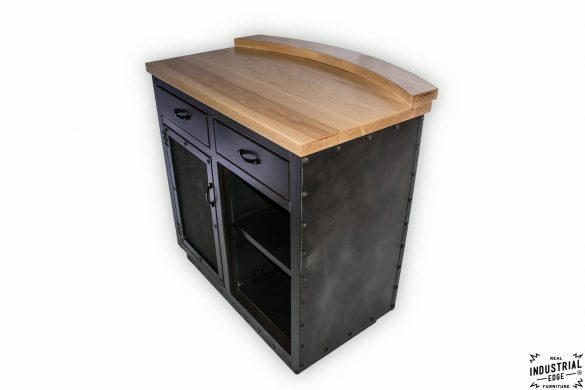 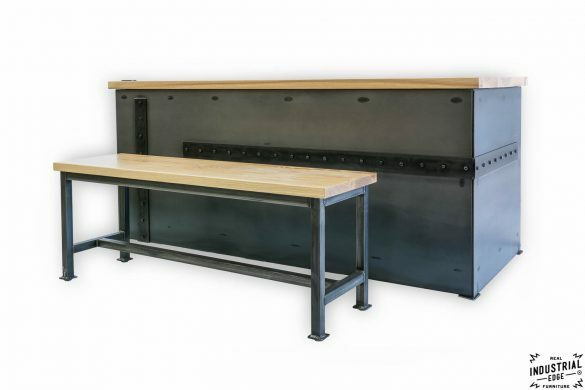 We have handcrafted several variations of this original Real Industrial Edge Furniture design. 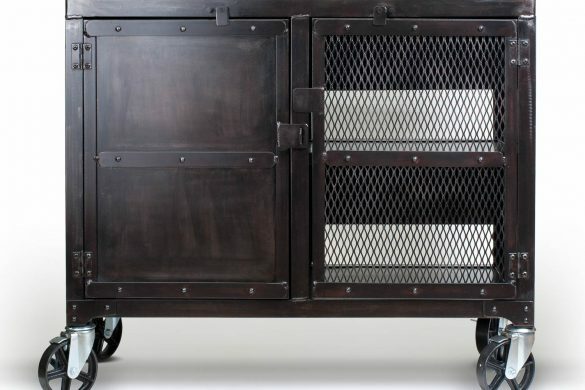 This one features an intense patina process that goes into the steel creating a multi layered vintage look that we finished with our outdoor rated satin clear coat. 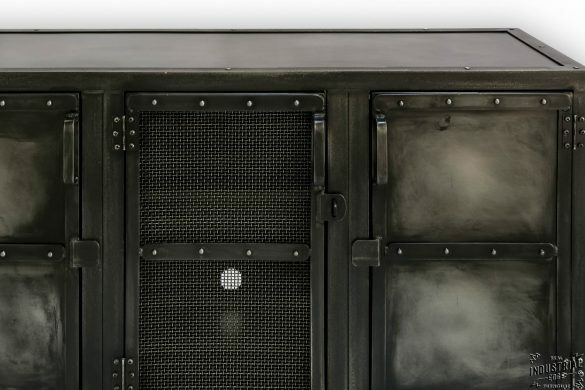 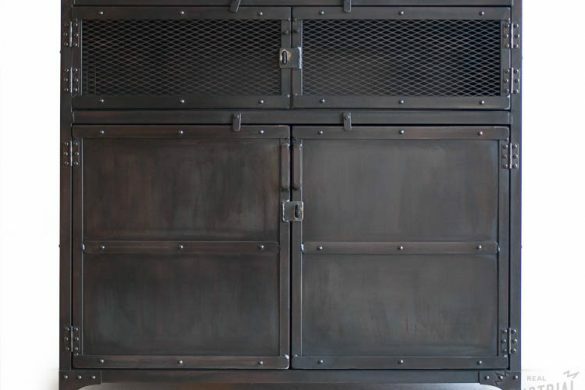 Behind the locking steel door, we have custom steel shelving to accommodate menus and more. 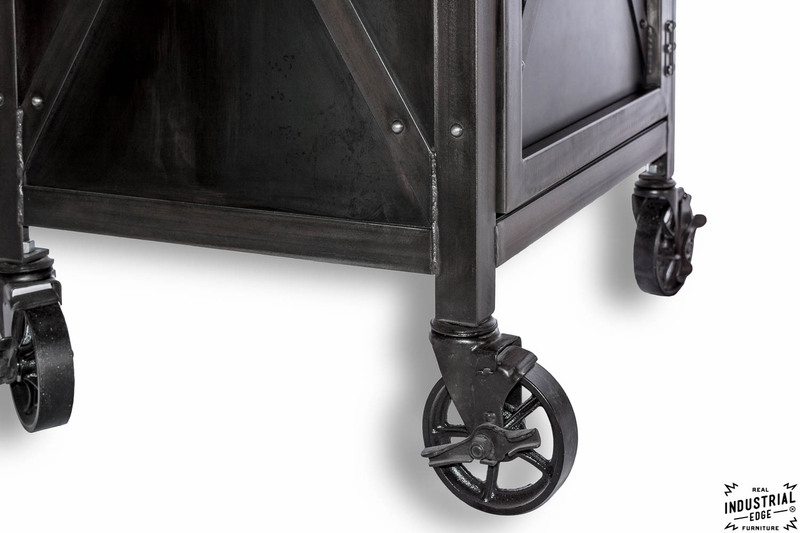 Custom patina locking casters really complete the modern vintage industrial feel on this one. 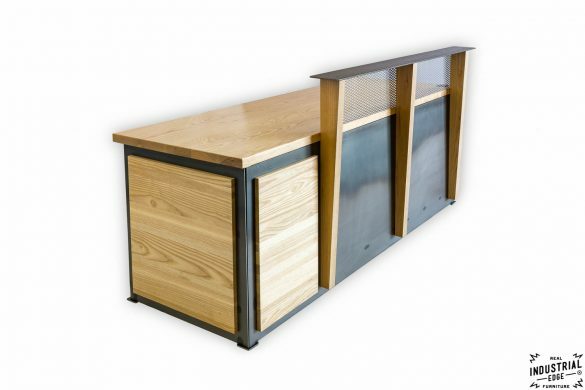 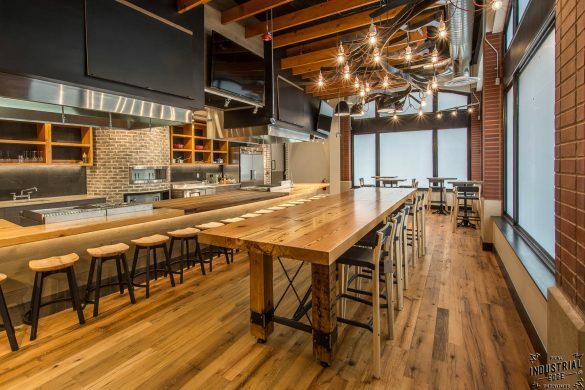 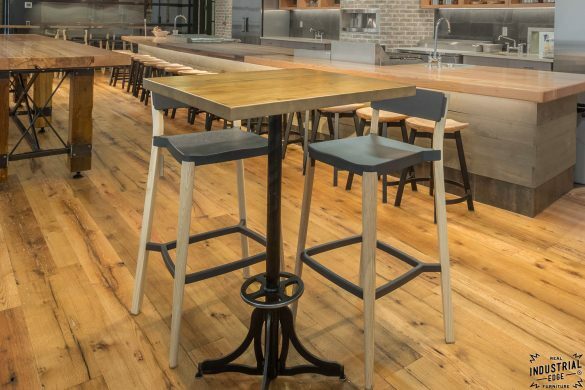 Other variations include reclaimed wood, solid hard wood, open shelving, drawers, grommet holes, brass accents, and any other point of sale needs!